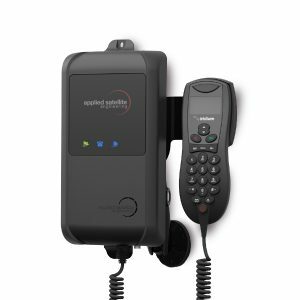 For Disaster Recovery, Business Continuity or locations in remote locations, a permanently installed satellite phone or data link can be essential. Iridium and Inmarsat both offer fixed systems with external antennae, and docking stations for handheld phones that interface with an external antenna and a building’s phone system. Both passive and active antennae are available. Active/Powered antennae allow much longer cable runs than passive antennae. Maritime systems also make excellent fixed/stationary systems and are very easy to deploy and maintain due to their design for harsh environments. 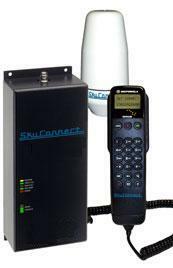 The ComCenter II Series provides voice and/or data communications anywhere in the world. 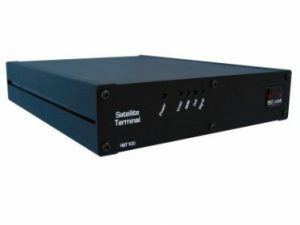 A versatile Ethernet port allows network connectivity for global satellite data transfer and remote system control. Designed to meet a wide variety of applications and system installations, the ComCenter II is available in two main configurations – Voice and Data, or Data only – each with optional configurations and accessories such as privacy handset and GPS. Terra 800 is an all-in-one satellite terminal that operates with the Inmarsat “IsatPhone Link” service. Terra 800 is specifically designed to be utilized in a wide variety of land based applications; such as a dedicated telephone service or a backup emergency telephone system that can be deployed throughout the world. Terra 400 is a slimline satellite terminal that operates with the Inmarsat “IsatPhone Link” service. Terra 400 is purposely designed for use in fixed sites and emergency service applications. 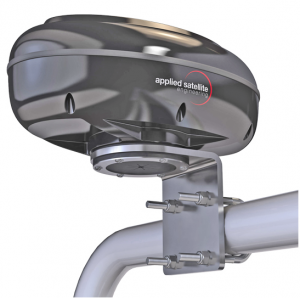 Terra 400 provides a permanent and reliable communication service supplied with a dedicated directional/fixed antenna system to provide a complete integrated solution that is ready for use anytime. Featuring an intelligent RJ11/POTS interface, it enables connection of up to 5 standard corded/cordless phones or integration to a PABX system. It can support cable runs of up to 600m (2000ft) and incorporates in-built intelligence to support standard ring, busy and dial tones. Other key features of the Terra 400 include a high quality IP53 rated enclosure (rainproof when wall mounted), USB data access and wall or desk mountable. 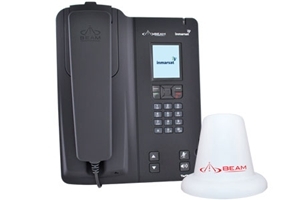 The Sky Connect Indoors satellite telephone and data terminal can be permanently installed in your office or mobile command center and connected to either a conventional phone or directly to a designated trunk port on your office PBX telephone system. When you need to make a sat phone call, simply dial the access code for that trunk port, and you will have the satellite dial tone! 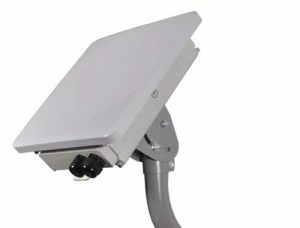 The world’s most advanced, all-IP, BGAN machine-to-machine satellite terminal with integrated antenna and highest IP-66 ingress protection industry rating for outdoor installation. 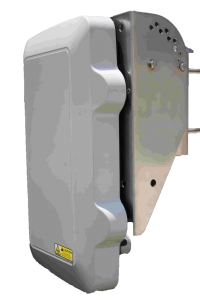 The Wideye SABRE™ Ranger M2M is designed for unmanned all-environment BGAN terminal for long term fixed location operation. The Ranger M2M unlike other BGAN terminals maintains a continuous 24 x 7 network connection required for M2M and SCADA devices.